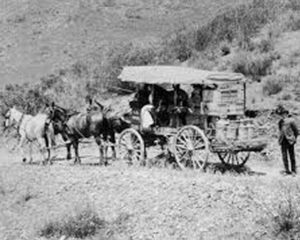 In the late 19th century (1872-1912) mud wagons were used through out the back country of San Diego County. Their compact size and maneuverability made them ideal for the rough and hilly terrain. 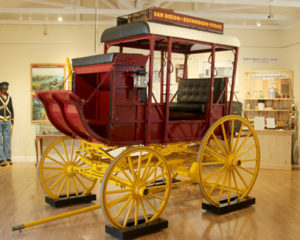 The museum’s mud wagon is an authentic, full scale replica of the type of vehicle that traveled this route. Its construction was a cooperative effort with the Escondido History Center, led by Master Wainwright Phil Ewing. Most of the $28,000 cost was funded through a Neighborhood Reinvestment Program Grant from the County of San Diego. It took over two years and 2000 volunteer hours to build.